Jeff Lanford is an experienced IT professional specializing in EDI, system integration and application development. When not consulting, Jeff Lanford continues to stay abreast of the latest technologies and leading trends of the industry through training and quality business relationships. What is a kilo-character? 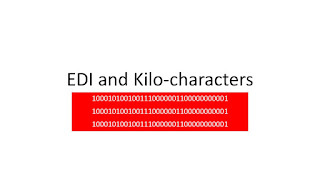 In the EDI industry, service providers will typically bill transactions by the volume of kilo-characters. A kilo-character corresponds to one thousand characters in a file. A character corresponds to a every single character, every single space, and every single delimiter contained within an EDI file. When an entity like OpenText bills a customer, they typically bill by the number of kilo-characters for a given month. 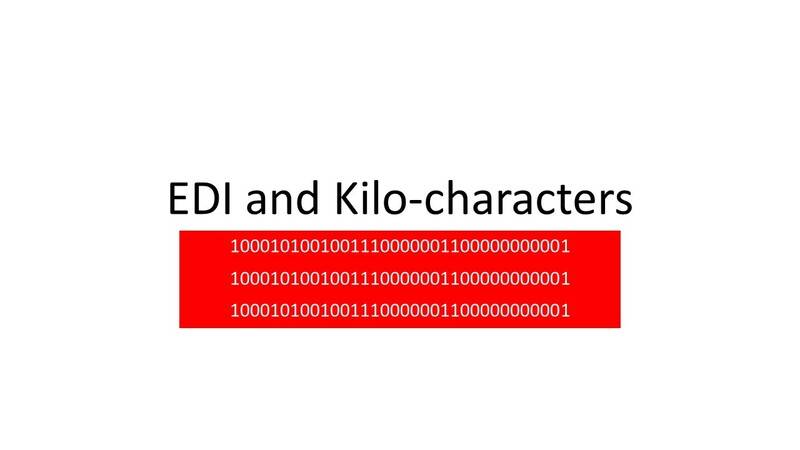 To determine the number of kilo-characters, you divide your total number of characters by a thousand. Most operation systems (windows, mac) will allow this information to be readily available by simply viewing the file properties. There is a trend in the industry that involves billing to occur by transaction (or message) rather than kilo-character. This takes the complexity out of the equation by ignoring the volume of data contained within a message. A message equals one specific business transaction. An invoice or shipment advice would be an example of one transaction count. There can be one or more transactions within a file.